Additional communication and input/output modules can extend the basic functional scope of this product. 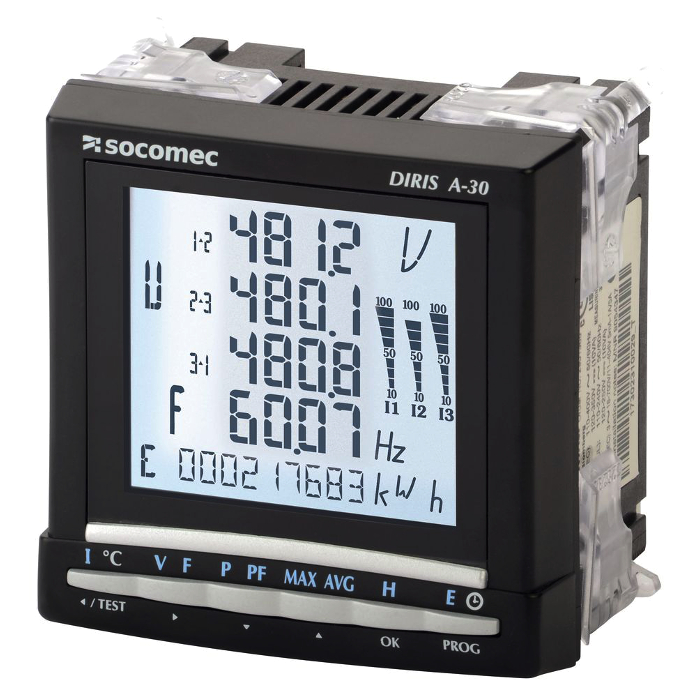 The DIRIS A-30 is a panel-mounted multifunction power monitoring device for electrical installations. The device is easy to use thanks to its large backlit LCD display and 6 keys used to view reaDINgs and configuration. Compatible with 1A or 5A secondary CTs. Over/under limit alarms on all parameters can be confgured to detect drifs in measurements. Additional communication, input/output and memory modules can extend the basic functional scope of the DIRIS A-30. Equipped with additional modules, the device can provide the user with flexibility and expandability throughout its service life.